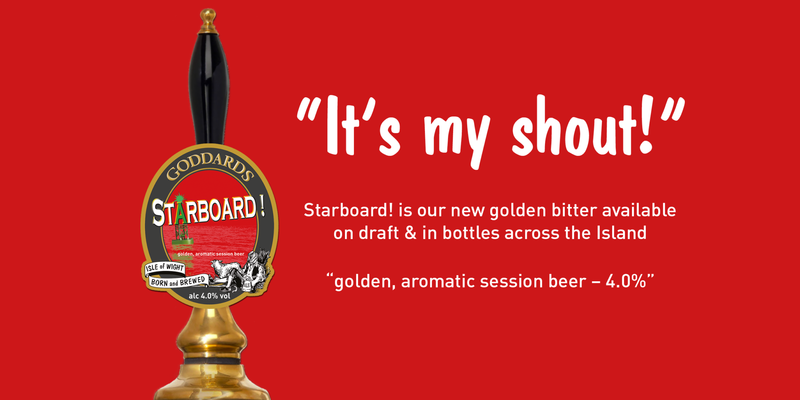 We welcome Starboard! to our collection, an easy drinking 4% golden session ale. It’s a new recipe that combines English hops with Pale Ale and Cara malt to deliver a distinctive orangey flavour with a citrus aroma, with a wonderful hoppy aroma and finish. 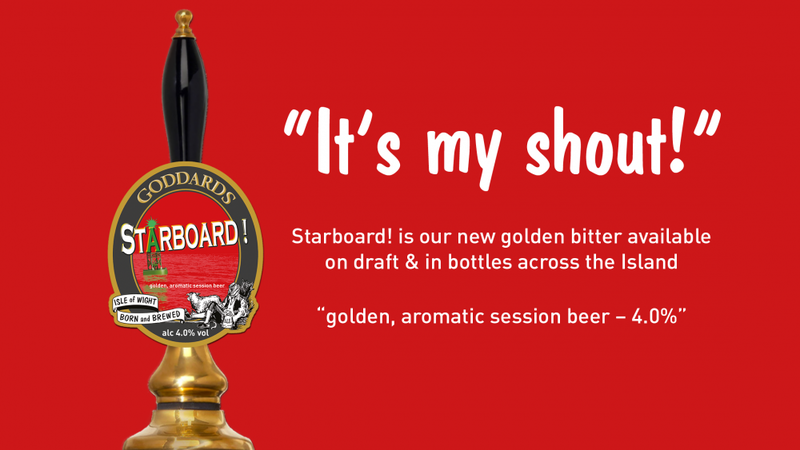 Golden bitter is one of the UK’s most popular types of real ale and Starboard! will be well placed not only to satisfy this growing market, but also reflect the Isle of Wight’s long association with sailing. Sailors can be heard shouting “Starboard!” as a warning when manoeuvring at sea in close quarters with another boat. The established ‘right of way’ when under sail is given to boats on a starboard tack. The pump clip also features a starboard marker buoy which is distinguished by its flashing green light so you will see this beer coming. Starboard! has been rolled out across the Island and will be coming to a pub near you, as well as bottled for a tasty brew at home. Surely this is set to be the summer’s new favourite tipple!